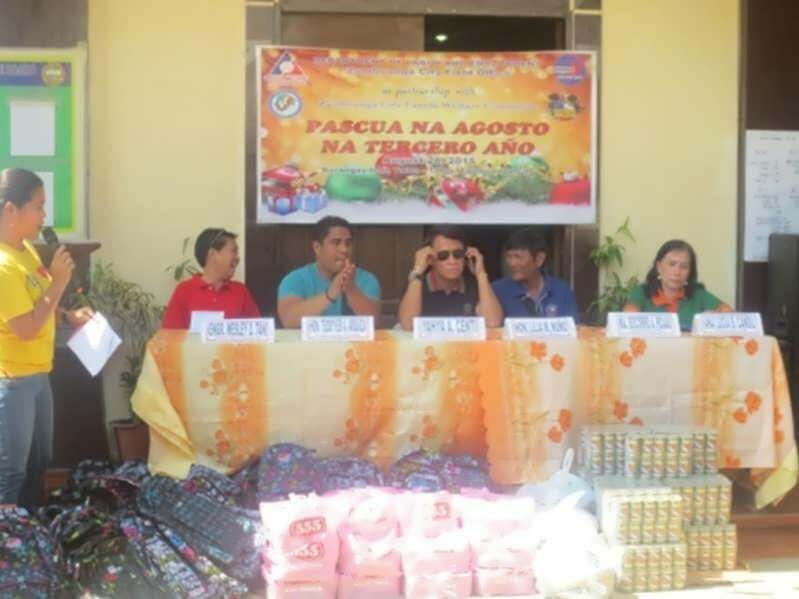 DOLE 9 gives early Christmas to Vulnerable Children and Families: "PASCUA NA AGOSTO NA TERCERO A?O"
As a convergence initiative, the DOLE and Zamboanga City Federation of Family Welfare Committee (ZCFFWC) celebrates "PASCUA na AGOSTO na TERCERO A?O" on August 28, 2015 at Barangay Talon-Talon, this city. 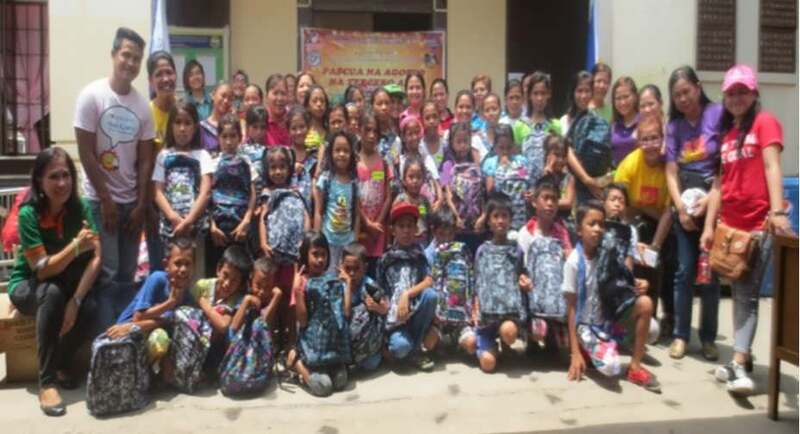 It was highlighted by the turn-over of educational assistance to forty two (42) children at risk of becoming child laborers and awarding of livelihood starter kits to parents, feeding and gift-giving. The activity gives emphasis on the transformation of the identified barangay into a child-labor free community. Gracing the event were Mr. Yahya Centi, Assistant Regional Director DOLE IX, Hon. Teodyver Arquiza, Barangay Chairman, Ms. Belinda Tagbar, Social Worker, Mr. Ramon Matias, representing Cong. Lilia M. Nu?o, Ms. Ana Lucia Candil, President, ZCFFWC, Kag. Eleonor Tura, Committee Chairperson on Women and Children, Talon-Talon Barangay Officials, and representatives from various agencies/companies. DOLE Zamboanga City Field Office Head, Engr. Wesley Tan welcomed the partners and beneficiaries and stressed that "The government agencies alone can't prevent the incidence of child-labor in our city, we all need to work hand in hand to achieve a child-labor free Philippines". Dir. Sisinio Cano as represented by ARD Yahya Centi, underscore the essence of "Love is in the center of all this blessings, as the driving force of DOLE and family welfare committee to continue this cause". The Pascua na Agosto is now on its 3rd year of implementation. In 2013, barangay Lumbangan was the beneficiary and last year it was Barangay Tumaga. The activity is one of DOLE's best practices by converging several programs and gathering various stakeholders and resources in one setting, and DOLE RO9 has been cited for this by no less than Sec. Rosalinda DImapalis-Baldoz. During the distribution of starter kits to parents and giving of gifts to children, smiles were reflected on their faces. They also gave an intermission number to entertain the visitors. 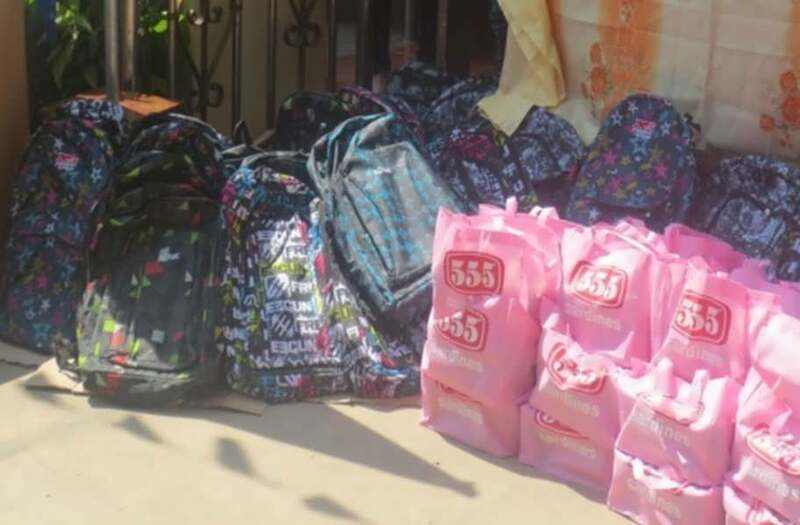 A parent-beneficiary, Mrs. Avelina Consador extended her gratitude, "Thank you sa lahat sa inyo kahit mahirap ako, malaking tulong; to para sa akin". The feeding program and gift-giving was facilitated by the ZCFFWC officers and members. The children and parents was so blissful in the activity. Capping the activity, DOLE and ZCFFWC had also donated and turned-over some goods and stuffs for the fire victims of the barangay to Hon. Arquiza.